The program in Theater Arts at MIT invites students to explore theater as a contemporary artistic practice within an intellectually rich continuum of traditions in the performing arts. We teach theater arts as a mode of inquiry into self and society with the conviction that such inquiries become the vehicle for a transformation of one or both. 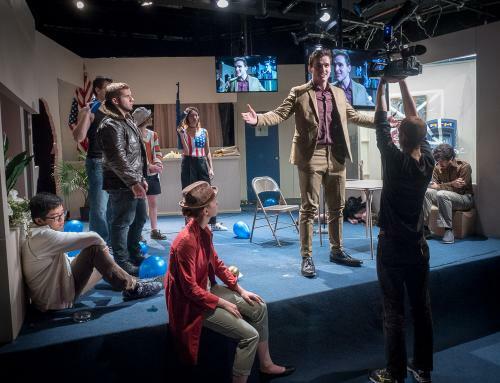 Interdisciplinary in its philosophy and humanist at its core, the program in theater arts is committed to a rigorous and innovative course of study across a diverse spectrum of creative forms. Theater Arts offers a wide range of courses in the theoretical and applied practical aspects of theater: acting, performance studies, voice, movement, performance media, script analysis, playwriting, directing, and an array of courses in design and scenography. The curriculum is designed to provide students with the necessary artistic, technical, and intellectual skills along with opportunities to apply their knowledge in the studio, on stage, and on screen. Classes offered by MIT’s renowned faculty and staff are supplemented by the Artist-in-Residence Program, which brings artists of international repute to MIT to work with students in classes, workshops, and productions. Each individually tailored course of study offers students the opportunity to pursue the Concentration in Theater Arts; the Minor in the Theater Arts; and the Major in Theater Arts. The Major advisor is Prof. Janet Sonenberg, the Minor advisor is Professor Claire Conceison, the Transfer Credit Advisor is Professor Jay Scheib, and the Concentration advisor is Senior Lecturer Ken Urban.